A Kirk minister conducted a special memorial service in Edinburgh to lay 17th Century bubonic plague victims to rest. Rev Iain May of South Leith Parish Church offered prayers as the remains of around 80 men and woman, discovered underneath a school playground, were reburied. Rev Iain May, minister of South Leith Parish Church in Edinburgh leads a service to lay 17th century plague victims to rest. 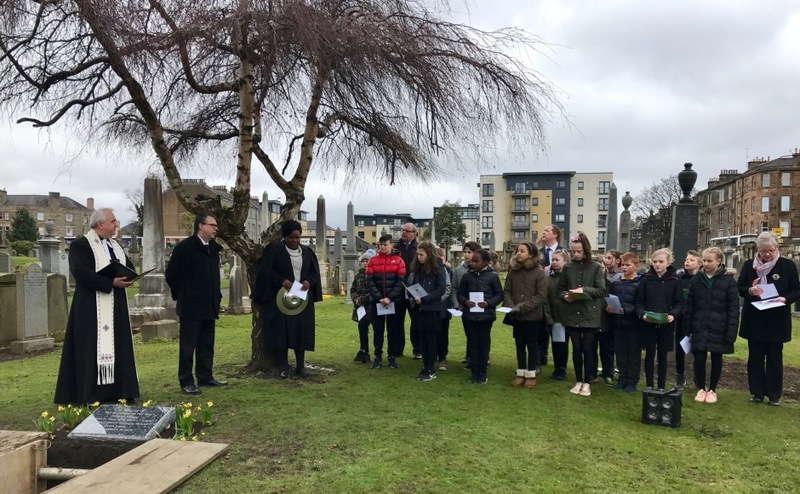 Pupils from St Mary’s Primary School in Leith attended the service at Rosebank Cemetery, which was organised by Edinburgh City Council. The almost 400-year-old skeletons were discovered during an excavation of the school’s playground in April 2016, and identified by archaeologists. They were victims of a devastating outbreak of the bubonic plague in the area in 1645, which killed over 2,000 people - half of Leith’s population at that time. Mr May said: “It was a moving re-burial service and helped connect the pupils to a major event in the history of the area where they live. “At the time of the plague, most people did not have a proper burial and bodies were just thrown into the pit. “Only one or two coffins were found because it was a case of ‘bring out your dead’. “Another interesting connection to the plague is we have a baptismal bowl in the church which was gifted in 1647 by three Bailles (civic officers) of Leith who survived the plague. Rosebank is one of Edinburgh’s oldest burial sites and features a mass grave and tribute to the victims of the Gretna Rail Disaster of 1915, when 215 soldiers of the 1st/7th Battalion The Royal Scots were killed. Mary Bainbridge, depute head teacher of St Mary’s RC Leith, said: “This has been a wonderful experience for all of the pupils. “When the discovery was made, the children were very excited to learn about this encounter with the past and older classes especially were interested to hear about the outbreak of the plague. "Pupils had the chance to go on site and speak with the archaeologists, and now, they have been able to say their goodbyes. “I think they are proud to have been able to contribute in this special way, from selecting and singing hymns to laying flowers. The service was held on Friday.